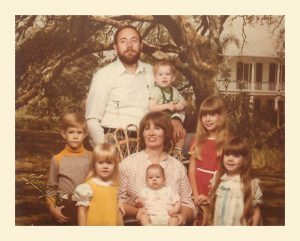 When you grow up in a family with six brothers and sisters (yes, there are 7 of us) there’s never enough money to go around. You share a bedroom with multiple siblings, you have two drawers in the dresser, you’re happy to have hand-me-downs from your older sister no matter how out of fashion they are. Dinner time was no exception, my mom had to be very inventive when trying to feed our rowdy gang. Sitting around the dinner table with my dad at one end, my mom at the other and all of the kids lining either side, we anxiously waited. Dinners would range from chicken and canned vegetable with cream of mushroom soup, homemade macaroni and cheese (To this day I still can’t eat breadcrumbs out of a box), or some kind of casserole in a dish. Every so often the there would be divine intervention and the stars would align and mom (lovingly refereed to as ‘Memaw’ by her dozens of grandchildren) would make one of her signature dishes. My personal favorite was her taco meat. 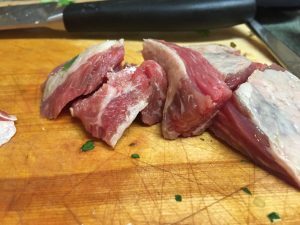 This recipe starts with stew meat. Stew meat contains a high amount of collagen. What is collagen? Collagen is connective found in connective tissue, ligament, and tendons and is very tough. This cut of meat is great for slow cooking. Slow cooking this cut of meat breaks down the collagen and transforms it into a melting soft gelatin and gives your meat a moist and tender texture. Dredging the meat in seasoned flour and searing it only adds to its taste, flavor, and tender texture. Sauteing the meat in onion only adds to the decadent flavor. While growing up, mom would use pre-packaged taco season, taco sauce, and green chilies. Nothing against mom, but i prefer to make things from scratch. The taco seasoning is the easiest. 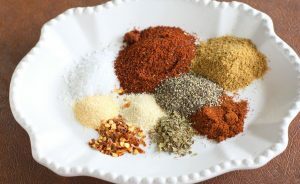 It’s just a mix of spices from your spice rack. Mix it all together and you are ready to go. Roasted chilies are just as easy. Just sear the outside and lower the temperature and wait for the peppers to turn into an aromatic masterpiece. Try doing this on the grill to add even more flavor. The roasted tomatoes are a little more difficult but definitely worth it. It adds extra layers of flavor that takes this stew meat to the next level. The paste with the herbs and spices seeps into the tomato as they are slow roasted. The tough outside of the tomato falls off and what is left resembles something close to heaven. Sprinkle with your homemade taco seasoning and it will melt in your mouth. 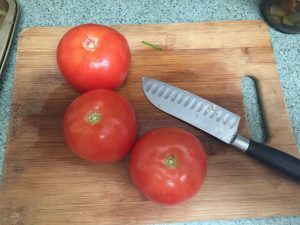 After roasting the tomatoes the taco sauce is easy. 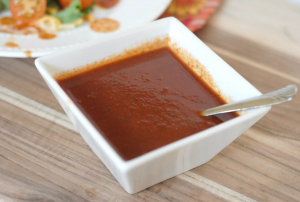 Once you make this the first time you will never buy store bought taco sauce again. Check back soon for an update on this post to include the recipe for crunch wrap supreme. 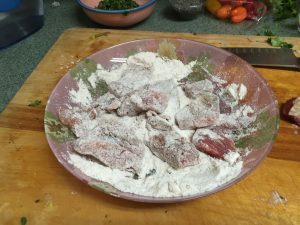 Dredge stew meat in seasoned flour and brown on the outside at high heat to seal the meat. Place in pot and just cover with water and simmer for 1-2 hours until stew meat crumbles and falls apart. 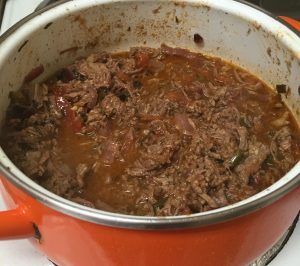 Drain stew meat from water and let cool. Brown ground beef with taco seasoning and add salt and pepper to taste. Add ground beef and shredded beef to a pot. Add roasted chilies and taco sauce and let simmer until it comes together. Add water as needed as needed. Drizzle with oil and cover with foil. Roast in oven at 350 for 45 minutes to an hour or until tomato falls apart. Remove the skin and crush with a fork. 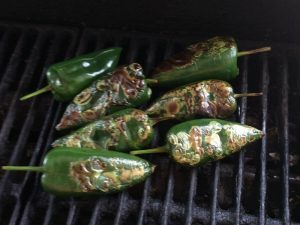 Roast your favorite spicy pepper (serrano, jalapeno, etc) on high heat unit the outside is seared. Sprinkle with taco seasoning, drizzle with oil and roast on low heat until chilies are tender (30-45 minutes depending on size). Remove the skin and crush with a fork. In a medium bowl add all the ingredients and whisk together until combined. 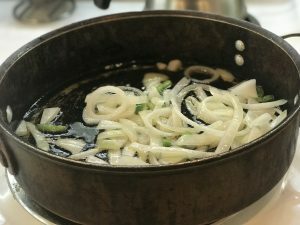 If it is a little thick add 1 tablespoon of water at a time until desired thickness.